Founded in 1993, the Chemainus Theatre Festival's mandate is to serve Vancouver Island and its visitors by creating an exceptional theatre experience that explores and nourishes truth, hope, redemption, love, and the human spirit. Engage our patrons, volunteers, staff and community in dynamic relationships to participate and build the Chemainus Theatre Festival. Over the past two decades the Festival has matured, and built a reputation for excellence on stage. 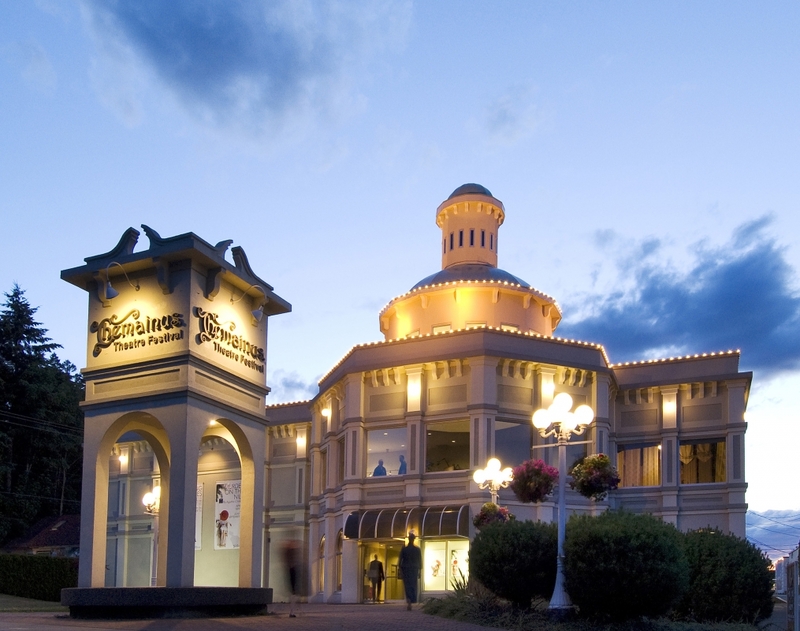 It has also become a major economic driver for the town of Chemainus and the region, and a popular destination for Vancouver Island residents and visitors. Today, the Festival operates year-round, produces eight to 10 shows per year, draws almost 75,000 theatre-goers per season, 40,000 or whom eat in the Playbill Dining Room prior to the show. With a 270-seat theatre as the centerpiece, the Festival also serves as a regional theatre and arts centre. The group's education and outreach programs include talkbacks, tours, workshops, affordable family tickets and production resources for local schools. The theatre is adjacent to a 200-seat dining room and a gallery that showcases more than 140 Canadian artists per year. Proceeds from food service and the retail space subsidize theatrical productions. The festival has become a vital cultural and economic cornerstone of the town and the region. For additional information about the Chemainus Theatre Festival please visit the website. For questions about this fund or Vancouver Foundation, please contact Linda Morgan at 778-309-0963.